Although The A.V. 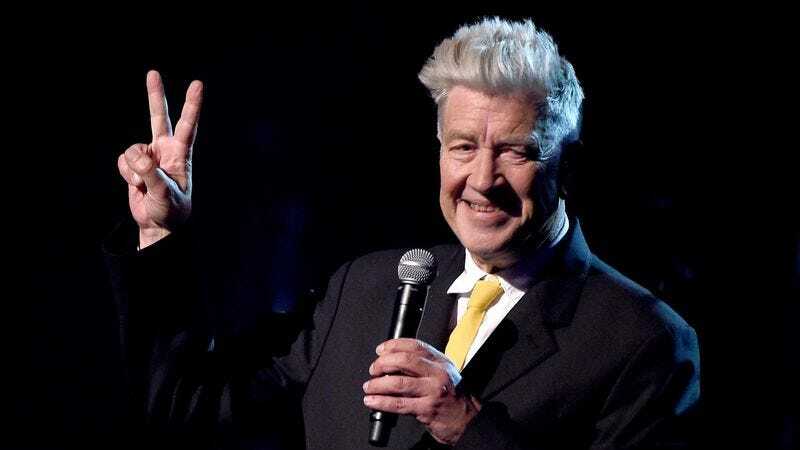 Club’s dream of a course in experimental cinema delivered in reverse-speak doesn’t appear to be part of the bargain, the Lynchian faithful can learn to free associate like the master as the David Lynch MA in Film begins taking applications for its 2016 program. The course is being offered by the Maharashi University of Management, a university in Fairfield, Iowa that offers degrees in traditional fields like Business and Communications as well as hippie-dippie disciplines like Maharishi Vedic Science. The school was founded by Maharishi Mahesh Yogi, the founder of Transcendental Meditation and Lynch’s real-life guru. So it’ll take a relatively literal leap of faith to enter the program, based as it is around Lynch’s spiritual beliefs; a promotional flyer states that prerequisites include “a fundamental course in Consciousness-Based Education … called Science and Technology of Consciousness.” (Lynch has been practicing T.M. for 40 years, and credits it with inspiring his famously impenetrable creative process.) Lynch himself will also only be present for part of the program, a special lecture that takes place during a class trip to Los Angeles. (The rest of the curriculum, we assume, consists of courses like “Blondes and Brunettes: Dichotomy and the Female Protagonist,” “Snakeskin Jackets, Individuality, and Personal Freedom,” and “Here’s What Actually Happened in Lost Highway.”) Still, one open-minded amateur filmmaker with a taste for the surreal can find out what this whole thing is about by entering a scholarship contest sponsored by the university, open to anyone with a bachelor’s degree who submits a creative portfolio that includes a script, a short film, writing samples, and an idea for a web or TV series.